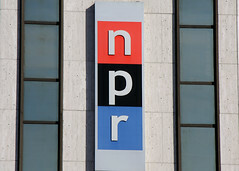 It’s looking like it’s grim times at DC-based National Public Radio. A letter from NPR President Vivian Schiller indicates they’re looking at a $7M deficit this year (after a draw down from reserves), and an $8M deficit next year. Anyone over the VP level is forgoing retirement contributions and pay increases of any kind this year and next, and there’ll be a two-week furlough at the end of 2009. They’re eliminating 4 senior positions, two through attrition, and two others to be determined. It’s tough all over DC, but to see the big media organizations hurt like the newspapers do, it’s definitely concerning.